Ahlen, May 2017. – Whether it’s “Gangnam Style” or hosting the 2018 Olympic Games, South Korea is presenting itself as more cosmopolitan and modern than ever before. 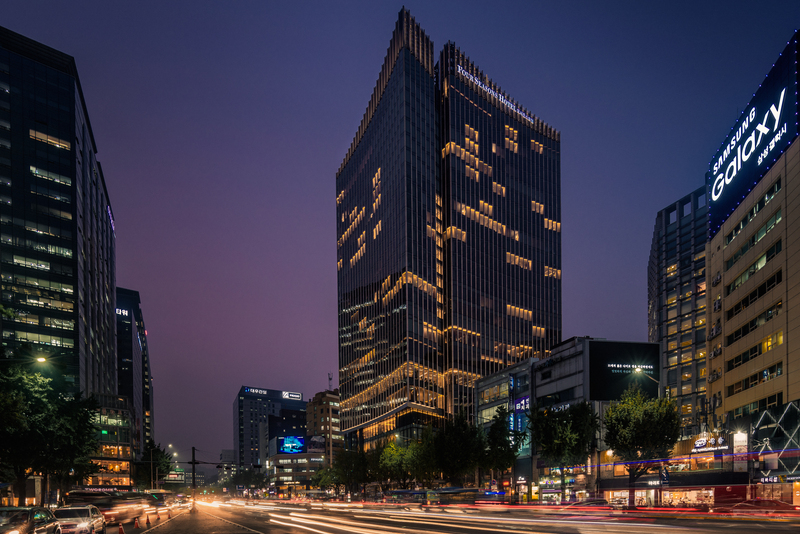 This new and inspiring aspect of the country is evident in the newly-opened Four Seasons Hotel Seoul. 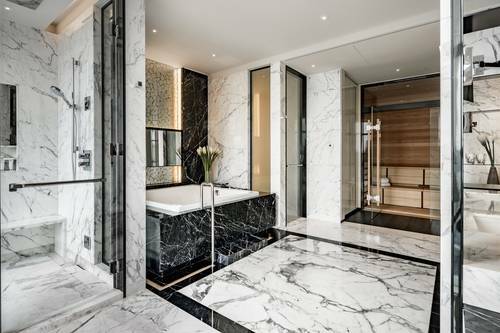 Acclaimed design firms and premium international manufacturers such as Kaldewei and LTW Designworks have joined forces here to create a luxurious 5-star property that sets new global standards of design, elegance and service. The bathrooms – featuring the Centro Duo Oval bathtub from Kaldewei, coupled with stunning views through the floor-to-ceiling windows – create the perfect place to unwind. At the new Four Seasons, Seoul’s unique mix of modern and traditional merges with the hotel group’s exclusive approach to hospitality, producing a breathtaking 25-storey gem. Designed by Heerim Architects & Planners and DLTW Designworks, the hotel has 317 light-flooded rooms and suites, seven new concept restaurant and bars, a spa with spacious gym and a wide selection of event venues. Everything bears the signature of the Four Seasons world: exquisite surfaces, carefully selected music and a scent created specially for the hotel group. The rooms were designed by LTW Designworks as exquisite sanctuaries where guests can relax and recharge. The modern design is accentuated by subtle Korean touches, with contemporary artworks to soothe the soul. In fitting out the bathrooms, LTW Designworks opted for the premium manufacturer Kaldewei and its product solutions made of superior steel enamel. “Kaldewei offers an extensive range of unique and durable sanitary ware which complements our design for the Four Seasons Hotel Seoul”, constitutes Ms Su Seam Teo, Partner of LTW Singapore, their choice for Kaldewei. The bathrooms are adorned with the eye-catching freestanding Centro Duo Oval bathtub from Kaldewei. 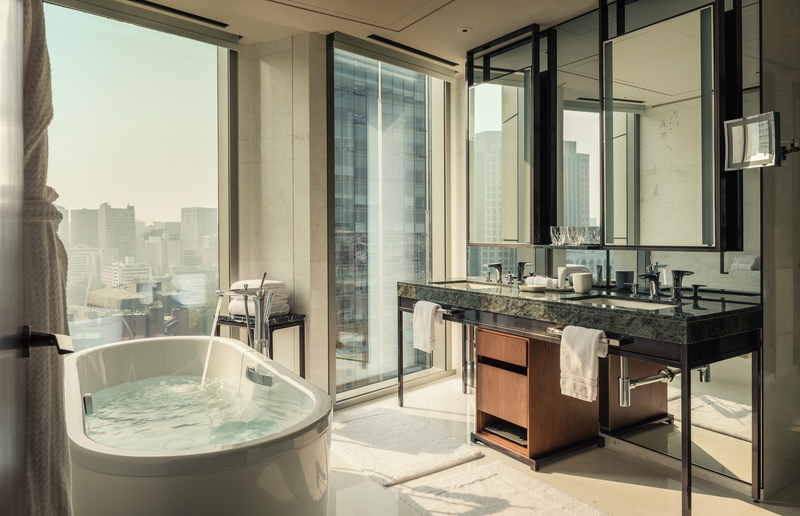 Gazing through the floor-to-ceiling windows guests can observe the lively bustle in Seoul while relaxing in the fully enamelled bathtub. Indeed, since the bathtub features two identical backrests, this is a pleasure that can even be shared. In the Presidential Suite, bathing is guaranteed to be a delight thanks to the generous 1.50 x 1.50 m dimensions of the Conopool from Kaldewei, specially made at the hotel’s request. High-end design, premium quality and durable material: Kaldewei’s product solutions perfectly answer the needs of luxury hotels. Hoteliers all over the world rely on Kaldewei’s quality promise that the premium manufacturer guarantees with a 30-year warranty. Prime location: recently opened, the new Four Seasons Hotel Seoul is right in the heart of the capital, just a few steps from the trendiest areas and historical sights. Run yourself a bath and relax: sitting in the bath, one’s gaze sweeps across Seoul’s fascinating skyline. Thanks to the freestanding Centro Duo Oval bathtub from Kaldewei and the room’s floor-to-ceiling windows, guests at the Four Seasons Hotel Seoul can enjoy a unique bathing experience. The superb standard of design at the Four Seasons Hotel Seoul is most notably evident in the Presidential Suite. High-end materials such as marble and the Kaldewei Conopool made of superior steel enamel guarantee a luxurious stay.